A 2014 re-authorization of the National Flood Insurance Program (NFIP) is scheduled to expire Sept. 30. A Congressional failure to re-authorize would block FEMA from issuing new policies and could disrupt sales of homes and businesses. Better known as a disaster-response agency, the Federal Emergency Management Agency, or FEMA, also runs the nation’s flood insurance program, and traditionally has charged premiums equal to 40 to 45 percent of the full cost of coverage. Taxpayer subsidies have covered the rest of the cost. No state is more vulnerable to a termination of NFIP than Florida, where 1.8 million of the nation’s nearly 5 million NFIP policyholders are located. Texas is a distant second with about 605,000 policyholders. Florida’s two senators, Republican Marco Rubio and Democrat Bill Nelson, have asked leaders in the U.S. Senate to expedite an extension of the NFIP for longer than three years. Rubio is sponsoring legislation to develop a private marketplace for flood insurance, so property buyers could have alternatives to the NFIP. NFIP has a $25 billion debt that it can’t repay, according to its director, so Congress is considering major changes to the program. The NFIP borrowed most of the money to pay for claims stemming from Hurricane Katrina and Hurricane Rita in 2005 and Superstorm Sandy in 2012. But the pace of Congressional action has been slowed by disagreement over how much the NFIP should charge property owners to improve the financial condition of the program. 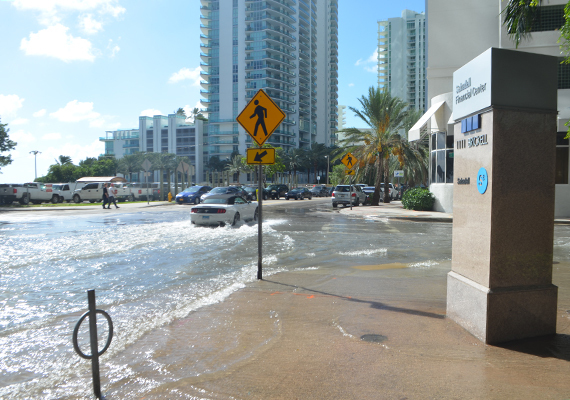 Chris Heidrick, who chairs the flood insurance task force of a trade group called the Independent Insurance Agents & Brokers of America, said allowing the NFIP to lapse would cause widespread uncertainty in Florida real estate markets. Existing NFIP policies would remain in effect if the program isn’t reauthorized by Sept. 30, but FEMA would be unable to issue new policies.